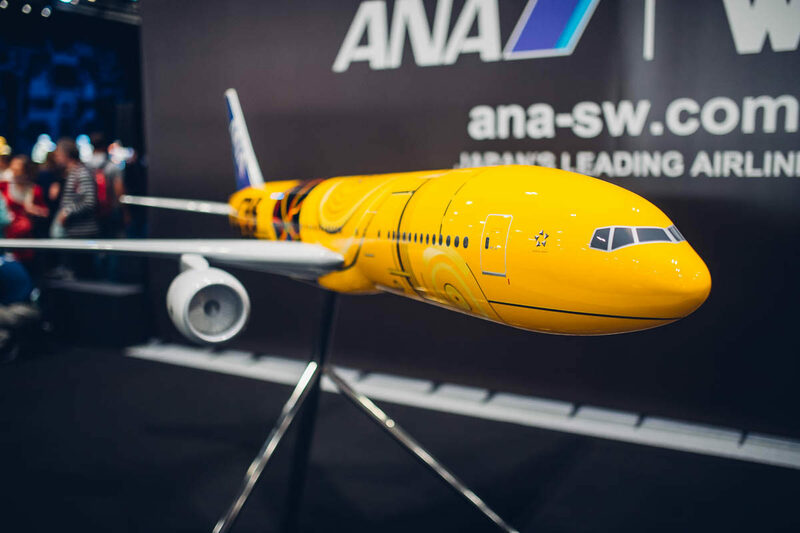 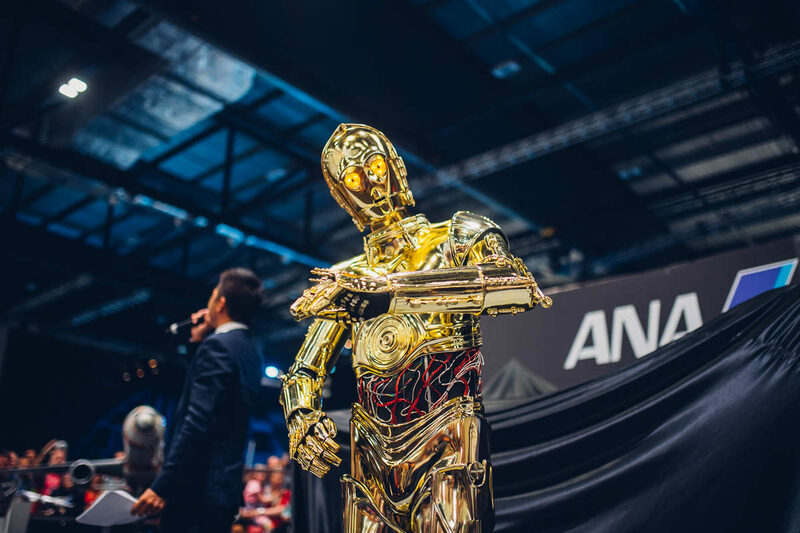 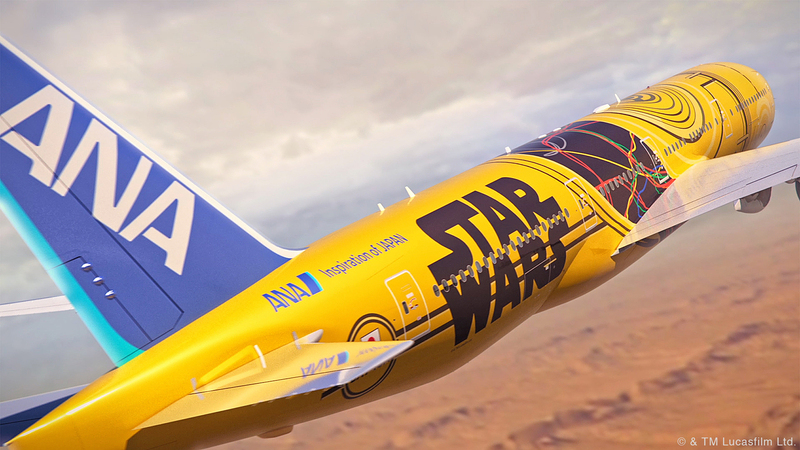 All Nippon Airways, also known as ANA, debuted a brand new Star Wars plane today at Star Wars Celebration Europe. 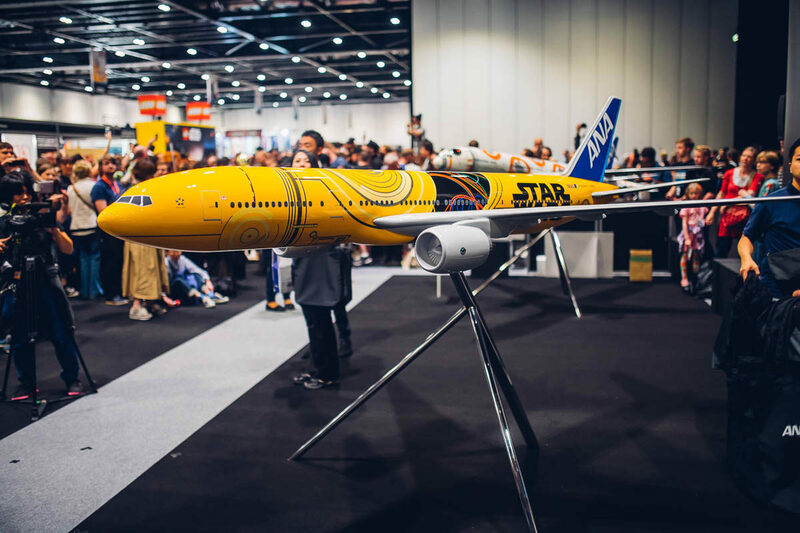 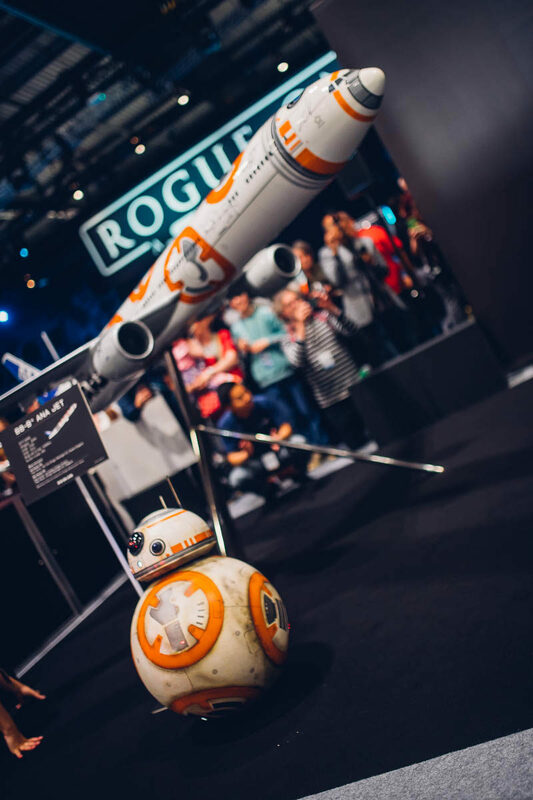 After the R2-D2 and BB-8 plane, it was now time for our favourite goldenrod to get his own plane! 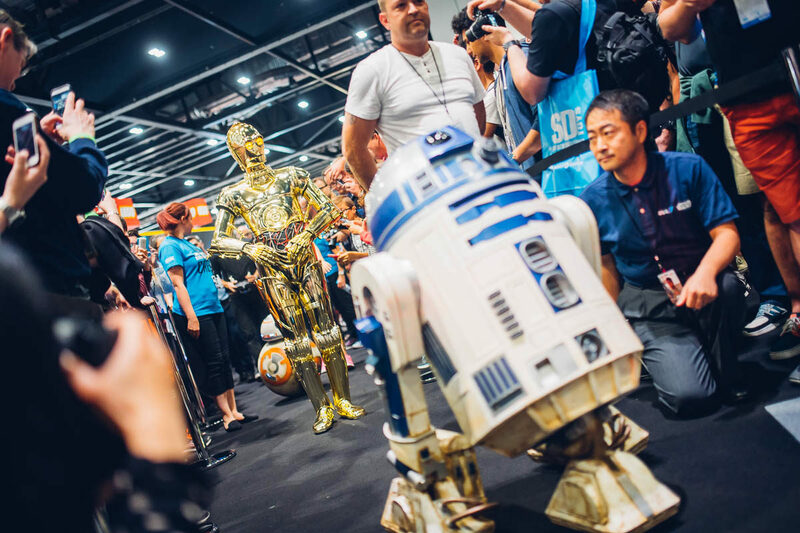 The droids themselves where present for the unveiling on the convention floor. 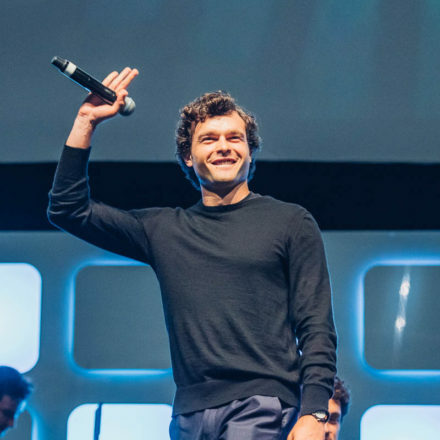 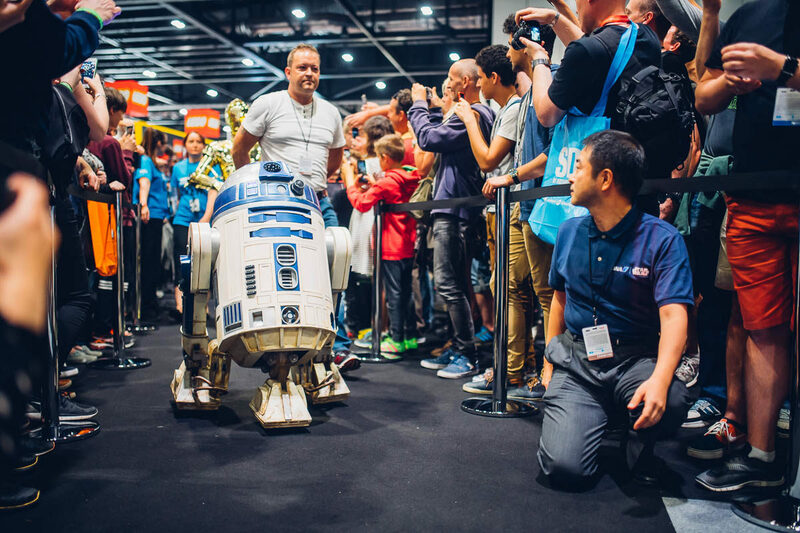 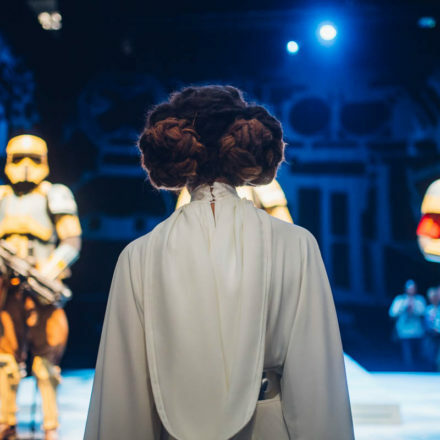 R2-D2 rolls on stage, followed by friends.